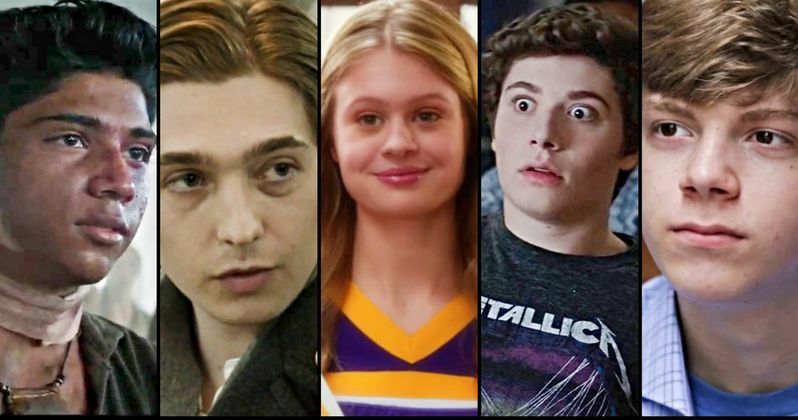 Scary Stories to Tell in the Dark begins filming this week in Toronto and it has been revealed that Michael Garza, Austin Abrams, Gabriel Rush, Austin Zajur, and Natalie Ganzhorn have joined the cast along with the previously announced Zoe Colletti in the film. Guillermo del Toro is producing the project while Andre Ovredal will serve as the director. The movie is based on the popular children's horror short story collections written by Alvin Schwartz and illustrated by Stephen Gammell. Andre Ovredal revealed that the casting of Scary Stories to Tell in the Dark took place over the last several months. The director stated that they were looking for, "the perfect group of actors to help us realize the most terrifying adaptation that we could conceive." It appears that they have found the perfect cast right before production is scheduled to start. Guillermo del Toro also spoke about his excitement for the upcoming film. He had this to say. "I am honored to support Andre's vision and, with our partners, to bring the incredible world of Scary Stories to the screen." Scary Stories to Tell in the Dark is co-written by Daniel and Kevin Hageman along with Guillermo del Toro, Patrick Melton and Marcus Dunstan. When the project was first announced, del Toro was going to direct the film, but it was recently revealed that he will be serving as the producer instead, which has given some fans a bit of doubt about the movie. When Scary Stories to Tell in the Dark had del Toro on board to helm the movie the excitement was intense and now it's been somewhat muted. Hopefully the latest casting information will solve that problem. In addition to the casting news, the official plot for Scary Stories to Tell in the Dark has also been released. The movie will focus on a group of teens who will have to solve a mystery surrounding some recent horrific deaths in their town. Fans of the original books will be excited to know that film will feature the human scarecrow and the girl who has spiders crawl out of her face from 1991's Scary Stories 3: More Tales to Chill Your Bones. It's believed that there will be several other nods to Alvin Schwartz's source material in the movie as well. There is no official release date set for Scary Stories to Tell in the Dark, but with filming gearing up to start this week, a 2019 release date is a sure bet, as long as everything goes according to plan. With that being said, a movie like this will probably want to get a late September or October premiere from the studio to coincide with Halloween. That's speculation at this point, but it certainly sounds logical. It's only a matter of time before pictures from the set in Toronto start to flood in and give more information about the project. This casting news for Scary Stories to Tell in the Dark was announced by CBS Films.